Ammouliani is the only inhabitant island in Chalkidiki. 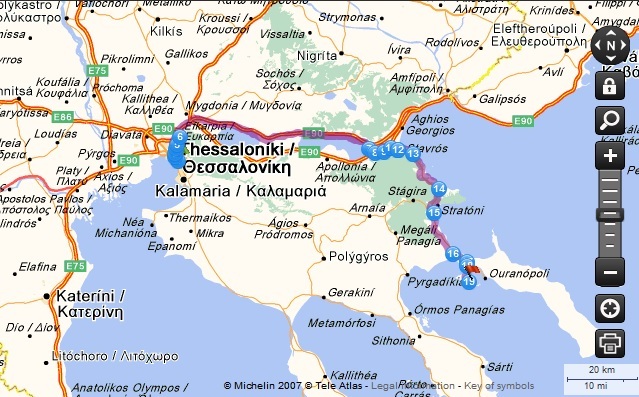 By road, the island, is only 122km away from Thessaloniki, and you access it via Ferry* on Trypiti Port (8th kilometer on Ierrissos-Ouranoupolis road). With co travelers the sea gulls, the boat trip lasts only 15 minutes. Camping Alikes is situated admittedly at the best beach of the Island, at Alikes beach, 1,5 km distance from Port of Ammouliani. In case you don’t have a personal vehicle to transport you from the port to the camping, we offer shuttle-bus service, after communication with the reception. 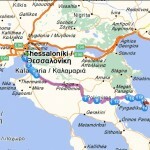 How to get to Ammouliani? *The ticket’s cost for the ferry is about 2€/Person and 10 €/Per Vehicle. During the summer months there is frequent service, with routes on every half hour (till 20:00). The island also offers a public speed boat Taxi (with no vehicle option, two-way ticket around 4 €) that operates on frequent schedule or on private hire on any hour after telephone agreement.